The market was broken up into little stalls selling things. Their little chalets were festive in themselves.Goods ranged from handcrafted items, to teas, and food. Also there were some Christmas items like nativity scenes – creches. 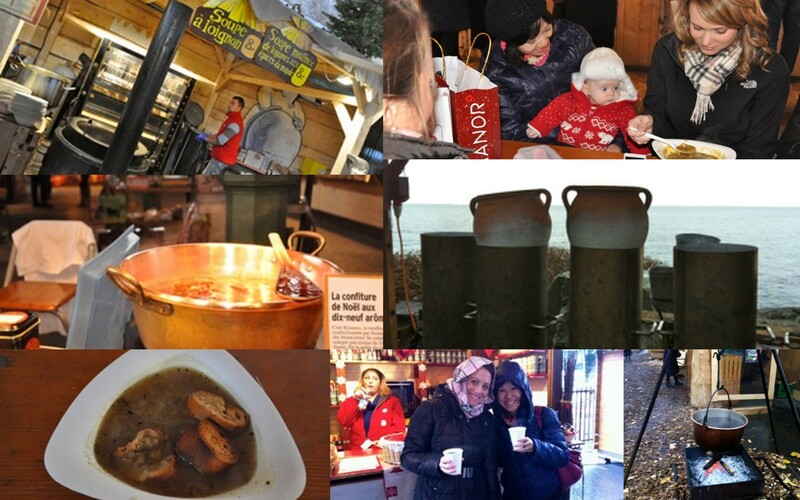 Vin chaud, hot cider, and Christmas tea were sold in various forms of cauldrons. It kept us warm and toasty as we navigated the market. This little fire chalet was also a hit. Not to mention the French Onion soup. Even little HB, our newest Girls Club member, wanted a piece of the action. 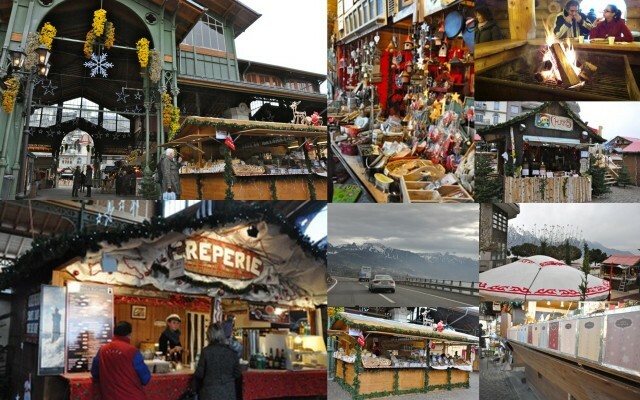 This entry was posted in Daytrips from Geneva, Festivals & Events, Holidays & Traditions, Swiss Foods, Switzerland, Travel: Within Switzerland, Winter. Bookmark the permalink. Great photos Lauren. Happy Holidays to you and Gabe. I’m sipping a Pumpkin Spice latte in your honor.